ISPN®: International Standards for Professional Nurses Program - CGFNS International, Inc.
What is the ISPN® Program? ISPN® measures the nursing knowledge of first-level nurses (RNs) against international standards. The ISPN® Program consists of two components: 1) an initial verification of first-level, general nurse status; and 2) passing the CGFNS Qualifying Exam®. Who Participates in the ISPN® Program? The International Standards for Professional Nurses (ISPN®) Program is for internationally educated nurses seeking to validate their nursing education against international standards. Nurses who participate must reside in the country in which the program is offered (currently China, Indonesia, South Korea). Nurses residing in the People’s Republic of China are able to validate their nursing knowledge against international standards to enhance their professional status at home and abroad. In November 2009, CGFNS International administered the first ISPN® Program in China. Nurses living in Indonesia can now validate their nursing knowledge against international standards to enhance their professional status at home and abroad. The program is designed for first-level general, or registered nurses who have been educated outside the US and wish to validate their nursing education against international standards. CGFNS International, in collaboration with the International Test Center in Jakarta, will administer the first International Standard for Professional Nurse (ISPN®) program in Indonesia on Saturday, July 13, 2019 (Application cut-off is June 28, 2019). Application deadline extensions will be considered and granted on case-by-case basis. Nurses living in South Korea can now validate their nursing knowledge against international standards to enhance their professional status at home and abroad. The program is designed for first-level general, or registered nurses who have been educated outside the US and wish to benchmark their nursing education against international standards. CGFNS International, in collaboration with the Korean-American Educational Commission in South Korea will administer the first International Standard for Professional Nurse (ISPN®) program in South Korea on a date to be determined, please check back to this page for updates. Required Documents for the ISPN® Program differ by country. Click on link below for more information. 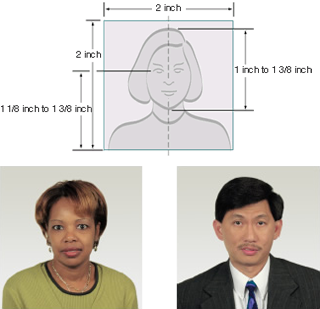 To complete your ISPN® application, you will need to upload a passport-style photograph. Sized such that the head is between 1″ (25mm) and 1 3/8″ (35mm) from the bottom of the chin to the top of the head. CGFNS International No Refund Policy: Before you apply to the ISPN Program in China, please be aware that CGFNS International has a “no refund” policy. Even if you do not meet the eligibility requirements, this policy is enforced. Please keep this in mind prior to submitting your application. Visit the online CGFNS Certification Program Support Forum.